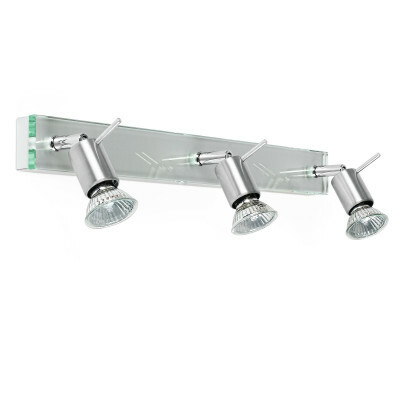 Spotlights for wall or ceiling mounting with an aluminium and glass frame and three halogen adjustable lamps. 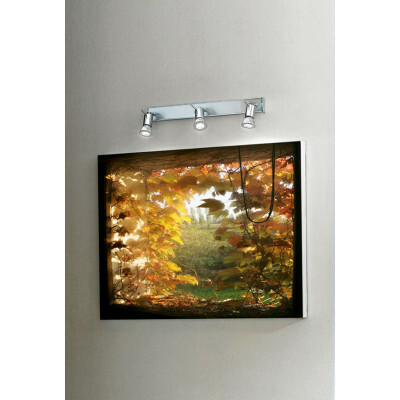 Ideal for any living area and for the illumination of shops and exhibition areas. 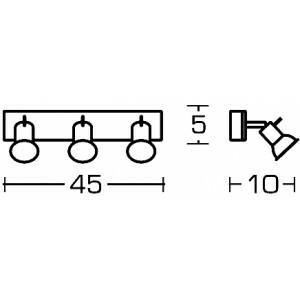 Three 40 watt bulbs.